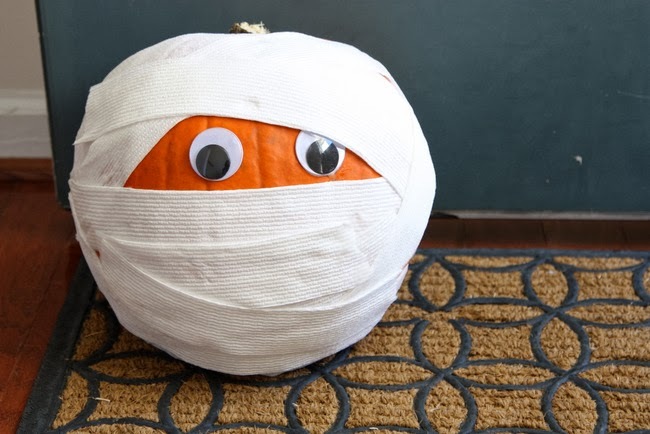 This mummy pumpkin is one of the simplest no carve pumpkin ideas – perfect for kids or when you don’t want your pumpkin to rot too quickly. 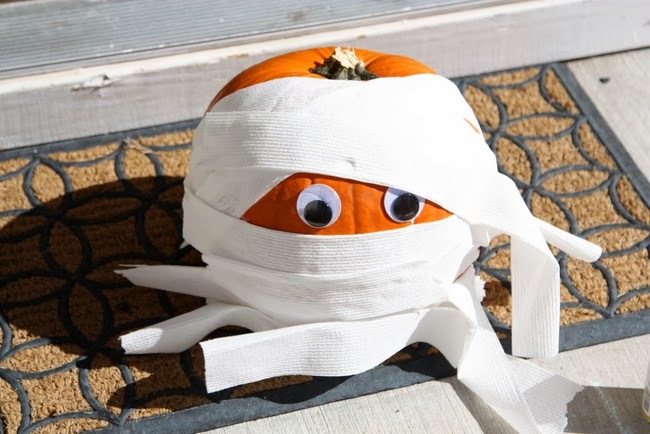 Use these instructions for toilet paper pumpkins and mummify your front porch for Halloween! 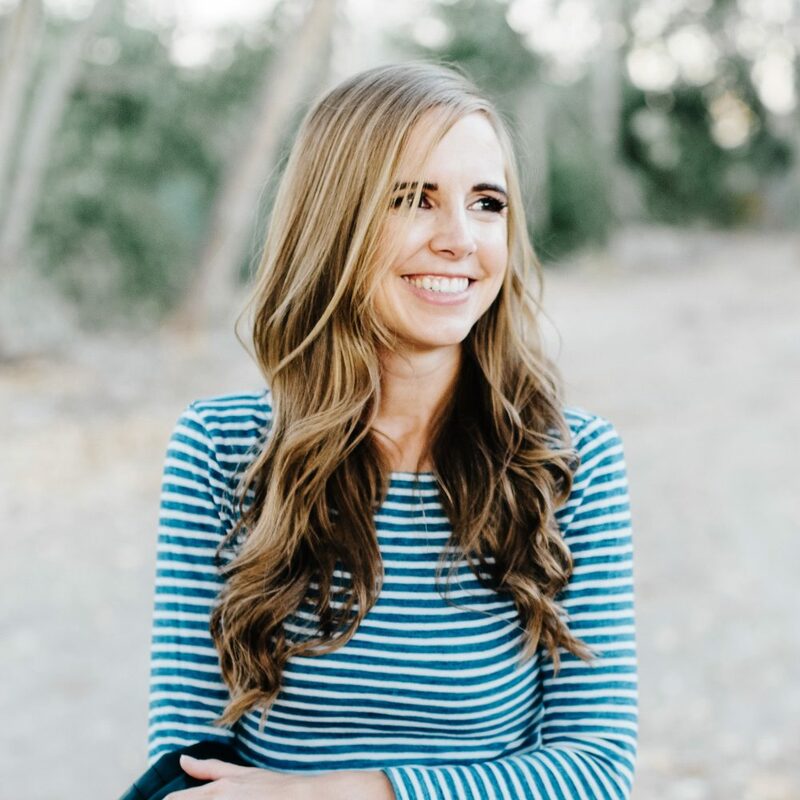 You know how motherhood changes you, and all that jazz? I thought maybe one of the things about me that motherhood would change is my dislike for carving pumpkins. Surely, the addition of two sweet small children to our family would mean I suddenly developed a deep love for sticking my hands into the cold innards of a pumpkin. Also, I’d probably start being able to carve something more impressive than a boring old three-triangle face jack-o-lantern. Shockingly, giving birth didn’t change either of those things. I now do all my pumpkin decorating without the help of a knife. (Also, I discovered that in Texas it’s still so warm in October that usually your carved pumpkin collapses into a moldy mess within a couple of days. So non-carving decorations helps with this issue too, although in North Carolina, it’s chilly enough now that it doesn’t matter). 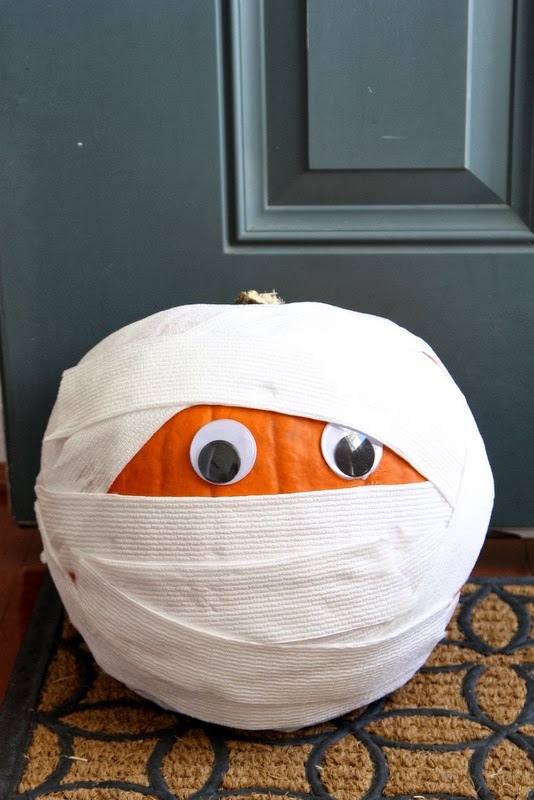 This mummy pumpkin project was perfect for a sunny Saturday afternoon. Ella, of course, was DESPERATE to help, as she is on all art projects, so our doorstep not only features my mummy pumpkin, but also a very small pumpkin covered in several long sheets of toilet paper. It’s quite classy looking. It’s also not pictured, because, well, I don’t want you to be intimidated by how artistic my three-year-old is. (By the way, this is not the kind of project where you want to use the cheapest toilet paper you can find. It will be a glue-y sticky mess. Glue plus tissue-paper-thin toilet paper is not a pretty combination). 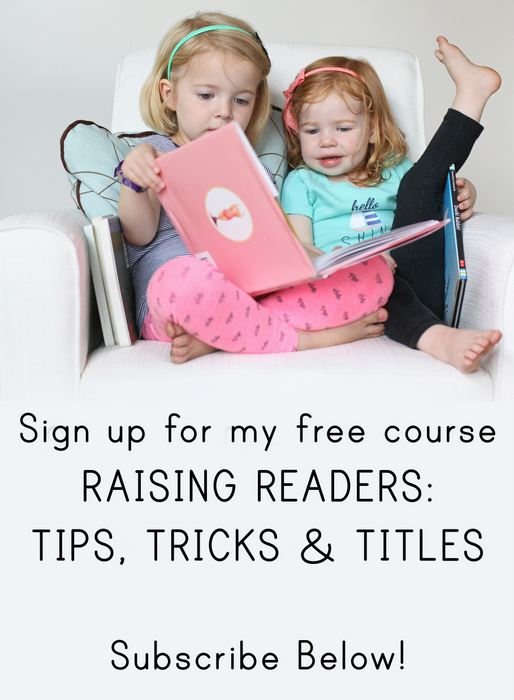 Gather your small assistants. 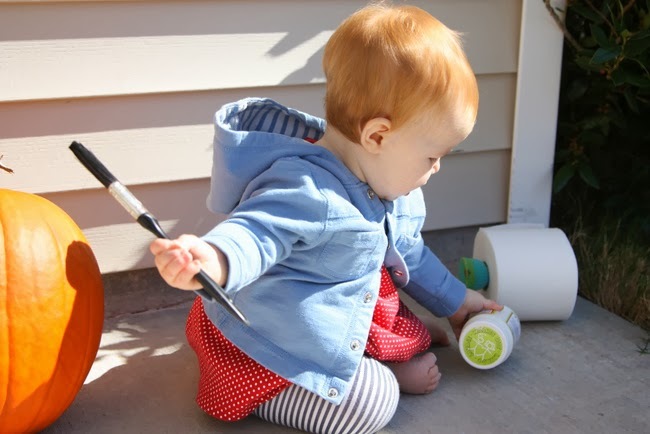 Have them carefully inspect the paintbrushes for quality and safety. Paint a thin coat of glue or ModPodge along the top of your pumpkin. 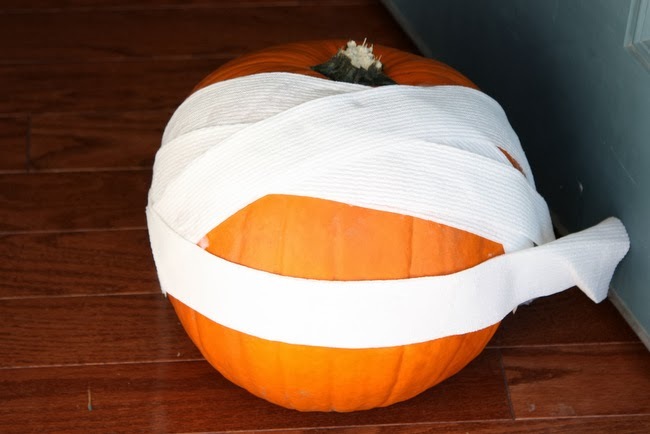 Tear of a strip of toilet paper (about 4-7 squares long, depending on the size of your pumpkin) and fold it in half. Lay it on the glue and carefully smooth it down. Repeat on the top of the pumpkin until the top third is covered (you’ll want to alternate the angle of the strips to give it a mummy look). Glue one strip of toilet paper across the middle. In the space between the middle strip and the top strips, glue the googly eyes on. Add more toilet paper strips the front is completely covered. Glue down all the loose ends and let dry completely. Display proudly, then wipe off your children who definitely found the glue. Ahh, I love it. I couldn't help laughing as I read this post. It made my day. And I love the pumpkin. One year, we painted faces on our pumpkins rather than carve them. I thought it was great. However, I have been overruled whenever I have suggested a repeat performance. This year however, I think our pumpkin will be au natural—no carving, painting, or other mode of decoration. But at least we do have a pumpkin. 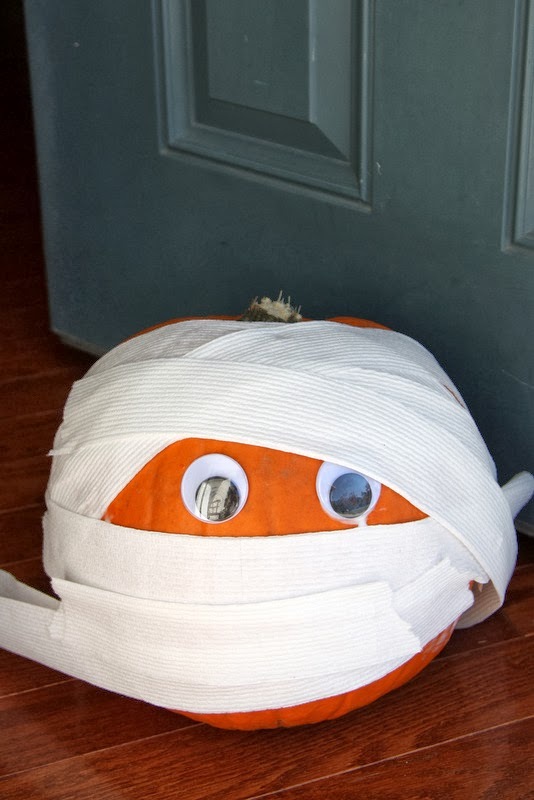 I have to say that I think the baby pumpkin is much cuter than the mummy pumpkin. Cold pumpkin innards are the worst! Plus the last time we carved pumpkins, hubs got a nice flesh wound because apparently we are terrible at pumpkin carving. great idea. 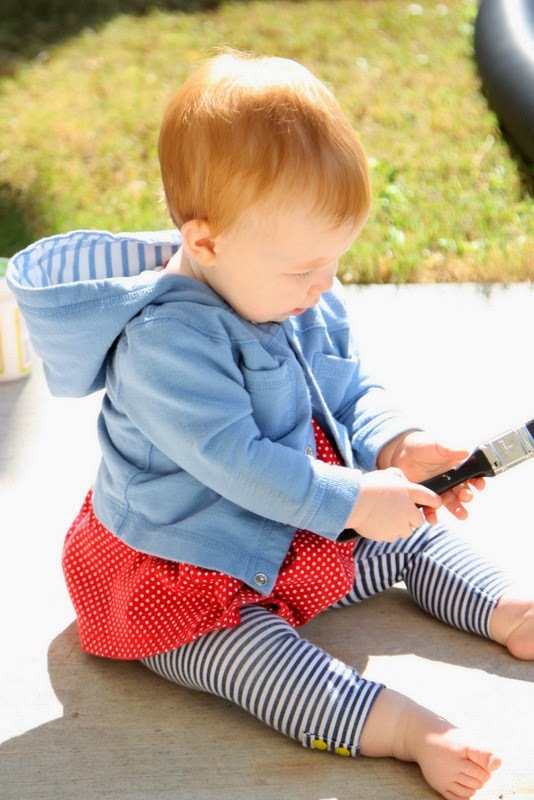 Love pumpkins that kids can safely help with.